The trees are tinged with yellow, orange, and red, and the dense, dark green of summer is fading. Companies with employees who spend time on the roadways need to be aware of a hazard that exists across the United States: Deer. In the Midwest, South, and East the Whitetail Deer is a prominent species. These animals live in suburbs, rural areas, and even venture into city parks and wooded lots. These animals are quick to cross roadways, and can pose a serious risk to drivers. Whitetail deer are active year-round, and can be found in almost every setting and environment throughout much of the United States. In rural and suburban areas especially, seeing whitetail deer is the norm. Unfortunately, Whitetail deer are a common cause of automobile accidents. For example, the State of Michigan has nearly 50,000 car-deer accidents every year. In order to understand car-deer accidents, how to avoid them, and what causes them it is important to understand the species itself. Whitetail deer are most active in during the seasons of Spring and Fall. During spring, Whitetail Deer are calorie hunting. Grazing and foraging on the new growth to replenish their bodies following the winter months. During the Fall Whitetail Deer are even more active. Opposite the Spring, the Fall season requires deer to stock up on calories for the upcoming winter. However, there is another reason deer run wild during the fall: The mating season. When the days get shorter and the temperature colder then female deer begin to be receptive to mating. Bucks chase does relentlessly, seeking the opportunity to mate. 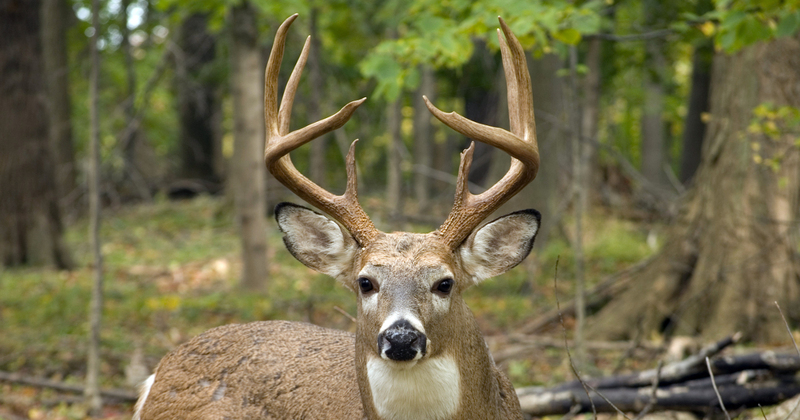 The Fall mating season – called the Rut – is the reason deer are so active in the fall. Any company that has employees traveling on rural or suburban roads routinely should be concerned about car-deer accidents. Not only can these accidents be fatal, but they be expensive as well. A car-deer accident will require repairs for the company vehicle. Additionally, insurance rates could increase as a result of an accident. Addressing the potential for car deer accidents with your workforce is paramount in preventing accidents and handling accidents that do occur. Employees who are out on the road all day are at risk for car-deer accidents. However, that risk can be mitigated by following a few simple rule. First and foremost, driving at legal speeds and without distractions are the foundations for smart and safe driving. Do not neglect these steps. Employees should be educated on when deer are most active. Typically, deer are most active during the hours around dawn and around dusk. Thus, employees driving in the morning, late morning, evening, or at night should be especially aware of their surroundings. Employees should also be aware of the area in which they are driving. Roads with dense foliage, agricultural fields, or swampy terrain beside them are likely to see increased deer activity. Finally, where you see one deer there is almost certainly another one! If you see a deer cross the road in front you, then SLOW DOWN immediately and continue slowly past where the deer crossed. Oftentimes one deer will cross and another will cross a few seconds later. Do not assume all the deer have crossed. Always slow down. Finally, ensure your company has a protocol in place for dealing with a car-deer accident. Should an employee be involved in an accident then be sure there are resources in place to make the investigation go smoothly. Company vehicles need to have proof of insurance and registration tabs that are conveniently located and easily accessed in the event of an accident. Whitetail Deer are another hazard that employees on the roadway face every day. Prepare your workers for the possibility of car-deer accidents. Train and educate drivers on when and where to look for deer crossing the road. Finally, ensure that your company is always promoting safe, undistracted driving!